Electrical EngineeringM V Shore Associates Ltd.
Foundation ContractorDeep Foundations Contractors Inc. Mechanical EngineeringM V Shore Associates Ltd. 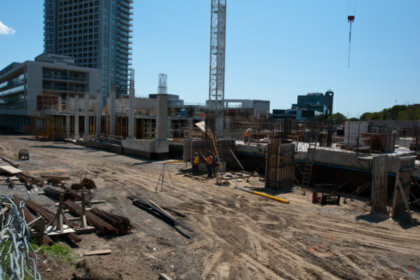 Reinforcing Steel ContractorC & T Reinforcing Steel Co Ltd.
2010-10-01: The Toronto Star, YourHome.ca, "Condos on the Market: North York and York"
2010-01-15: Reed Construction Data, "Ultra at Heron Hill Condominiums Phase Two, 2045 Sheppard Ave E, M2J 1V6"
2010-05-17: Reed Construction Data, "Ultra at Heron Hill Condominiums Phase Two, 2045 Sheppard Ave E, M2J 1V6"
2011-01-06: Reed Construction Data, "Ultra at Heron Hill Condominiums Phase Two, 2045 Sheppard Ave E, M2J 1V6"
2009-01-01: HomeGuides, Condo Builders Annual, "2009 GTA Edition"
2010-07-01: Condo Life, "July 2010 Edition"
2011-01-28: The Toronto Star, YourHome.ca, "Condos on the Market: North York and York"
2011-03-08: Reed Construction Data, Daily Commercial News and Construction Record, "Construction continues on Ultra at Heron's Hill condos in North York, Ontario "
2011-04-22: The Toronto Star, "Condos on the market"
2011-06-07: Reed Construction Data, Daily Commercial News and Construction Record, "Monarch continues construction on Ultra at Heron's Hill condos in Toronto"